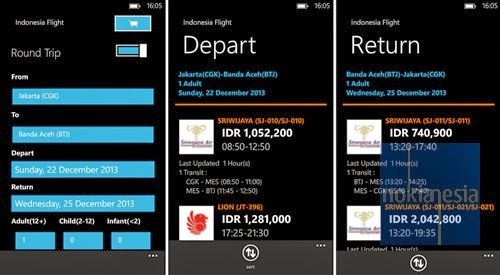 "Indonesia Flight" application is a mobile flight booking application for your Nokia Lumia with Windows Phone 7.x and 8, powered by a well know booking & reservation web, Tiket.com. 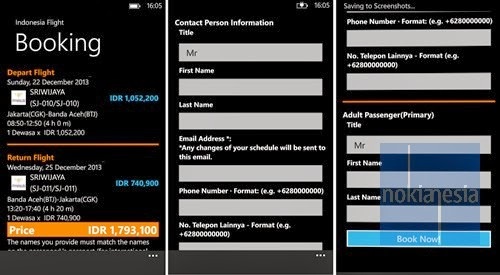 With "Indonesia Flight" application, now you can search and make a booking directly from your Nokia Lumia with Windows Phone 7.x and 8. 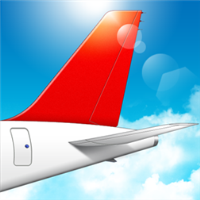 This application support almost all Airline in Indonesia such as Garuda Indonesia, Citilink, TigerAir Mandala, Merpati, Sriwijaya Air, Indonesia Air Asia, Batik Air, Wings Air and Lion Air.